A lot of people swear up and down that SimCity is the go-to franchise when it comes to building your ideal utopia. But I don't know – I've ran into so many DRM-related problems that I got turned off from that franchise almost entirely. But there is a good alternative out there that's not only portable, but just as creative and lucrative when it comes to getting stuff done and watching your progress flourish. And hey, it has animals! Animal Crossing: New Leaf is certainly different from how the SimCity games are set up, but fans that have grown used to how the games work – and newcomers eager to engulf themselves in its world – will be happy to pick up on it. This is $35 well spent, especially if you find friends that are more than happy to share their progress with you – and vice versa. The game puts you charge of a city, where personality-laden animals and characters dwell. It's here you get to make a number of decisions to help the town grow, whether it's building new things the city needs or helping expand on a business' potential, including changing hours and such. As a result, not every member of the town will be thrilled with your changes, but you'll see how well (or not well) they go over, and adjust from there. But Animal Crossing isn't just a "work and grind" affair. This is a city you can interact with in a number of ways, whether it's engaging in mini-games, talking to its many residence (who make all the difference, especially when it comes to SimCity's lack of personalities) or dealing with old friends, like Mr. Resetti. We had a blast running a nightclub party (with KK at the DJ table, no less) and just plain goofing around with fishing. It may not scream "Extreme action!! 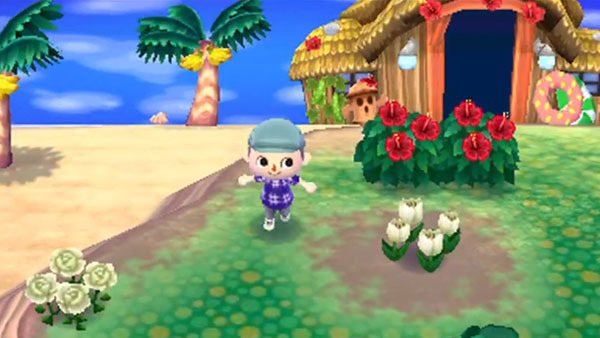 ", but for those looking for something leisurely paced and fun, New Leaf is perfectly balanced.